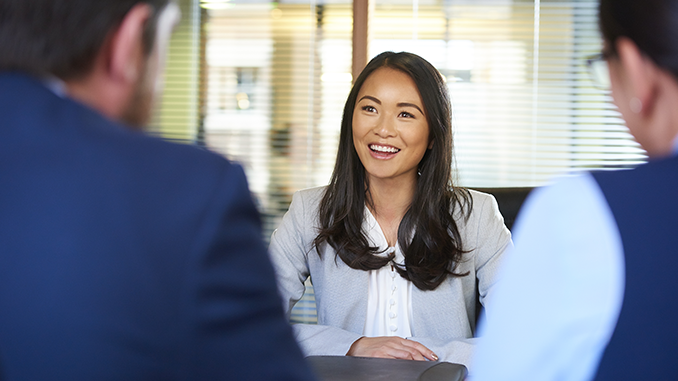 As an employer, behavioral interview questions are crucial to ask in order to get a sense of the potential employee’s personality or temperament. How they performed or reacted in a past situation will usually indicate how they will work in the future, and so many employers incorporate these kinds of questions into interviews. For a person looking for a job and going on an interview, these questions can sometimes be stressful, and without the proper preparation, answers can lose the conciseness that’s required in order to land the job. Instead of trying to make up answers on the spot, you should prepare for these widely asked questions by preemptively formulating the answers before you go on your interview. Here are the top behavioral interview questions and answers. I’ve broken them up into different sections to make it easier to prepare. 1 .Tell me about a time when you had to work closely with someone whose personality was very different from yours. This question is designed to test your ability to compromise for the better of the team or organization. There’s a really good chance that once you get into your career you’re going to come across a person whose personality clashes with yours. You should maintain that sometimes it was difficult, but that you found strategies on how to best use each person’s positive attributes in order to complete the task. The ability to work on a team is crucial for any company or organization, and they want to see that you can do it regardless of who your teammates are. 2. Tell me about a time you wish you’d handled a situation differently with a colleague. It’s one thing to postulate how good you are or how you will work in the future, and it’s another to be capable of reflecting on past failures and evaluating what went wrong. Here the employer wants to see how you grew and learned after a bad experience. You should think back to a time when you had a dispute, and how you could have communicated more effectively in order to avoid the problem. Ensure that the employer realizes that you learned something from the negative experience. 3. Describe a time when you had to interact with a difficult client. What was the situation, and how did you handle it? They will ask this question for almost any service industry job (and many other jobs, too). The employer is looking for how you appease a customer while staying within the guidelines of a company’s policies. If you are applying to a service industry job — like a server or retail worker — the wiggle room to appease an unsatisfied customer is larger than if you are working in a corporate environment like accounting. Either way, the customer should come first, so they want to hear that you retained the client without losing the organization’s money. 4. Tell me about a time you were under a lot of pressure and what you did to handle it. Everyone gets stressed here and there but the employer wants to make sure that you can handle the workload that’s put on you. You should explain a time when you had a lot of responsibility, and how you used time management in order to accomplish the project. Telling the interviewer your stress management techniques is also a good idea here. Whether it’s mentally preparing by singing songs in your head, or hitting the gym to clear your mind, they want to hear your stress minimization techniques. 5. Describe a time when your team or company was undergoing some change. How did you adapt? Adaptability is required for growth. Turn this one into a positive by highlighting your technical prowess, or ability to quickly learn new processes. They want to make sure that if the organization undergoes change, that you’re willing to follow them into the future and not be left behind in the past. 6. Describe a long-term project that you managed. How did you keep everything moving along in a timely manner? Organization and time-management skills are important to save money over the long term of a project. In many jobs you’ll have multiple ongoing projects, so your ability to multi-task and still be on schedule is essential for the employer. Highlight a long-term project that you’ve completed with great results. 7. Tell me about a time when a project ran over schedule. How did you handle the situation? This question is part time management and part communication. No one is perfect, and sometimes a project that isn’t time sensitive will go over a deadline. The employer is wondering if you communicated with the rest of the organization when you found out that the project would be late, as well as how you handled the repercussions for it being late. Telling them about a time you ran over deadline without affecting the bottom line is the best example to use here. 8. Give me an example of a time when you were able to successfully persuade someone to see things your way at work. Again, sometimes your personality will clash with someone on your team, but the employer is looking at your ability to put forth your own ideas if they are the best solution. While many of the prior questions also test your communication skills, this question in particular is gauging how convincing you are on a team and whether you are a leader. 9. Tell me about your proudest professional accomplishment. Here’s your time to gloat. Think about your greatest professional accomplishment and describe how without your help, it wouldn’t have been actualized. Be sure to choose something that has a big overall impact here and your thought process behind getting it accomplished. 10. Tell me about a time you took initiative to solve a problem. Getting things accomplished and saving money without being told to do so is every supervisor’s dream. Think of a time when you took the initiative and saved the company a lot of money by remedying a situation before there was even a problem. The interviewer will be looking for a time that you took charge for a positive result. When answering any behavioral interview question you want to be as truthful as possible while highlighting your unique skills and attributes. The point of these questions is to gauge how you will react under stressful situations and how adaptable you are, not how perfect you are. Never be negative, always look at the positive in the outcome, and good luck on the next interview!